Worried About Unconfirmed Halloween Google Algorithm Update? Some WebmasterWorld members have reported changes starting around Halloween, which was reported on by SearchEngineRoundtable. Google has declined to confirm an update. Historically this means there was no update. 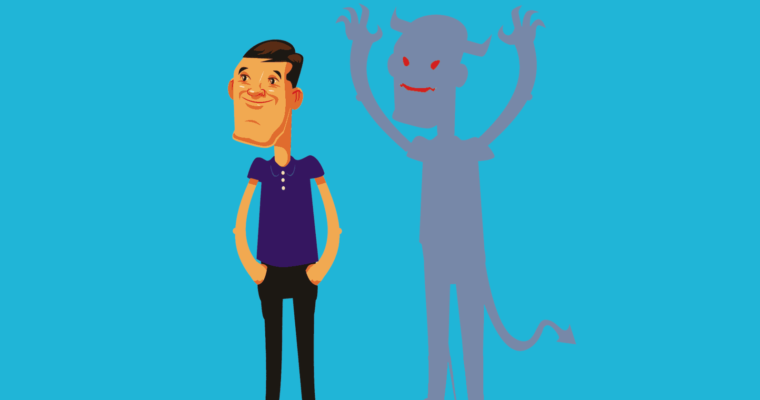 The SEO industry has long discussed so-called Phantom updates that Google has consistently denied. We now know that Google was telling the truth. Google performs changes to the algorithm almost every day of the week. Google rolls out a true update to the core ranking algorithm only several times a year. That’s it. 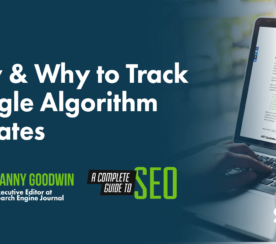 To learn about Core Algorithm Updates, please read Ryan Jones’ excellent and authoritative August 2018 article What Is a Google Broad Core Algorithm Update? Evidence of a Halloween Google Update? Are WebmasterWorld Discussions Evidence of an Update? WebmasterWorld hosts a monthly discussion of ranking changes. When a new month comes a new thread is started. And it’s instantly populated with members discussing changes in rankings. Every month. Every day. Chatter about ranking changes is a daily occurrence and is not in itself evidence of a Google update. In November 2018’s WebmasterWorld discussion about changes in ranking, some of the forum members are citing changes in long tail keyword phrases. This is most definitely not evidence of an update. Longtail keyword phrases are phrases that are infrequently searched. This makes them unreliable indicators because of their inherent vagueness. 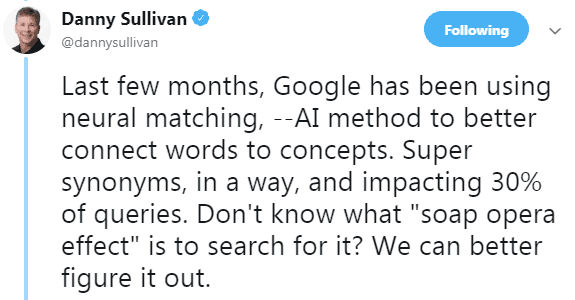 Additionally, Danny Sullivan revealed in a tweet that Google changed how it answers ambiguous queries with something called Neural Matching. Danny Sullivan has said that 30% of search queries are being answered by a new system called Neural Matching. 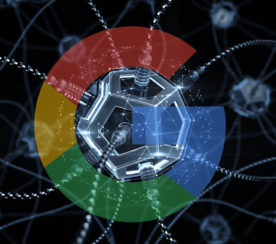 Google’s Danny Sullivan revealed that Google is using a technology called Neural Matching to understand and answer 30% of search queries. A change to the ranking of a long tail search query is not evidence of a new update. It could be a change in what users mean. Or it could be Neural Matching doing its thing. Another issue with the WebmasterWorld discussion as evidence of an update is that many of them are discussing a change from August. The true signal that an update is happening is when Facebook, Twitter, WebmasterWorld and Reddit simultaneously boils over with intense discussion. What’s happening right now on WebmasterWorld is a tepid discussion of rankings mixed with many more that are discussing the effects of the August update. Was there a Halloween Update? 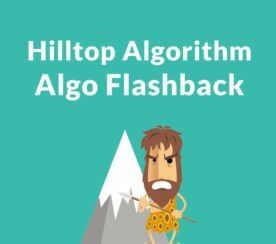 Based on the low level of discussion at this moment and no confirmation from Google, it’s very likely there wasn’t a core algorithm update. There could have been an increase in featured snippets. There could have been more double featured snippets. There could have been some tests. The signs of a core algorithm update however just aren’t there. Should you worry? Life is too short to worry about unconfirmed updates when the evidence is so weak.